He encontrado la noticia de una nueva colaboraci�n de Lynch,esta vez en el �ltimo disco del proyecto musical Dubblestandart & Lee "Scratch" Perry & Ari Up. Os dejo la direcci�n que enlaza con la noticia donde se ofrece la informaci�n,aunque no especifica mucho sobre el tipo de colaboraci�n de David Lynch. "... -Oh, yes! 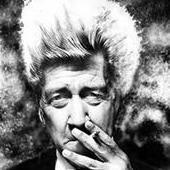 And David Lynch. He appears in the form of a sampled interview on �Chrome Optimism�, the lead track from the set�s second disc. In keeping with tradition, this disc consists mostly of alternate dub versions and remixes. Lynch is always dependable to weird things up a little, and phrases like �the ideas tell you how you wanna be� have a lot more mood-altering impact than most of Perry�s ramblings."